I have recently discovered some amazing new Beauty & Skincare Instagram accounts, such as A Good Skin Day, Mod.Young and Barely There Beauty, to name a few. Looking for inspiration then I highly recommend you follow those accounts. They really opened up my eyes to how many new brands of skincare there are and so my love for everything skin was rekindled. I realised however, that it must be quite daunting for those of you who rarely change up your routine. 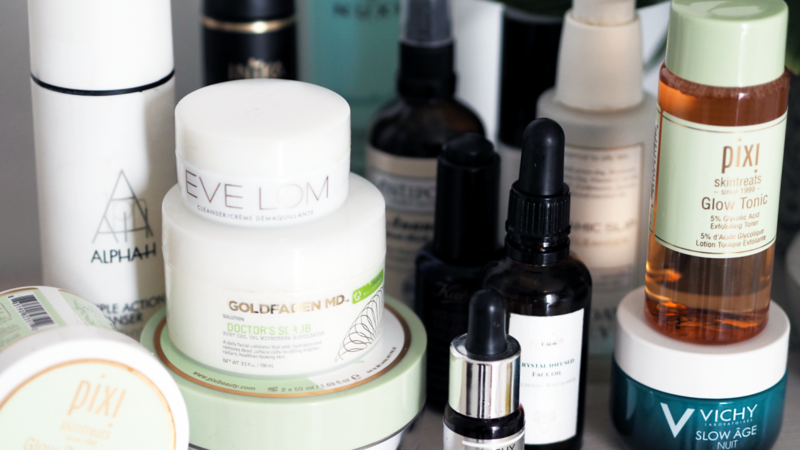 How do you even begin to choose a new skincare product to try? In today’s post I thought I would share my skincare shopping process and I hope it helps. Discover what your skin type is. How do you even know what your skin type is? Sometimes it is pretty obvious. Hey there dry skin. Other times, not so much. I thought I had oily skin for years and years. That was until I had a facial and the beauty therapist told me I had dehydrated skin, and that was why my skin kept on producing excess oil in the hope it would catch more water. If you are feeling unsure about your skin then I highly recommend asking a pro. You don’t need to book a facial, just pop to your local skincare counter and ask someone trained to help you. My favourite place for this is SpaceNK and the staff are all trained and full of knowledge to assist you. What Problems/Issues do you wish to tackle? At 28 years old for me fine lines and wrinkles are the biggest problem, I wish to keep them at bay for as long as possible. I also want to keep my skin protected from the sun, and remove my make-up with complete ease. For you it could be tackling blemishes, or dry areas, or pigmentation and so on. Make a note of the things you would like your skincare to help you with. It really could be as simple as just removing eye make-up easily and nothing else – if this is you, lucky lucky you. Not all Cult products will work for you. Keep in mind that although it is extremely easy to be swept up into the hype of particular skincare products, you do not have to buy them all. Sometimes I really want to try a product, but actually it would have no use to me. For instance Sunday Riley UFO Ultra Facial Oil is great if you have oily and acne prone skin, but for anyone else it would be far too strong. I have been dying to try it just because I love the brand but my few blemishes are hardly reason enough to splurge on this cult product. My point? Buy sensibly and splurge on cult products when you know they will definitely work for you. Do your research. Saying this, please remember even though you have the same skin type as another, there are some cases where products still wont have the same results for you. If you are unsure about a product, then try to get hold of a sample first, or buy a travel size. You can buy starter skincare sets which give you the opportunity to try out a brand before investing in full size versions. Boots have 3 for 2 offers all the time, and there are plenty of websites such as escentual.com and cultbeauty.co.uk which have great brands. I personally love shopping at SpaceNK. having worked their previously, I just love the brands and the service. However, every now and then I will shop online and check out different offers. 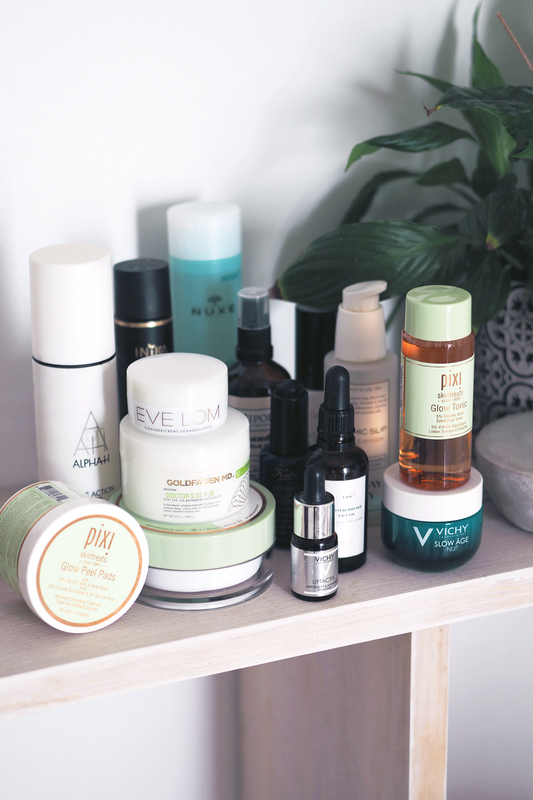 Cult Beauty do great skincare and have recently worked with Lydia Millen on a Cult Beauty box with some amazing products inside. I believe this sold out within an hour and a half, how exciting. Skincare for me has always been fascinating and gives me such a buzz, I love testing out new products. You sometimes come across names and ingredients which can seem a bit strange. Acid on my face? Really? YES. And don’t be afraid of getting in a skincare rut. It is great when you find products that work for you, but you may miss out on something better when you get too comfortable. Change it up every once in a while and you will find that what once felt like a chore, may actually feel like a lot of fun. So there you go, that is how I personally choose the right skincare for me. I rarely look to others and think right they use this products and they have this skin, so it must work for me? No. I only ever find out what works for my skin and move forward learning from my own experiences. I will of course take recommendations and research products that other bloggers recommend and what I see my friends using, but always make sure it it suitable for you. What are your favourite brands at the moment? 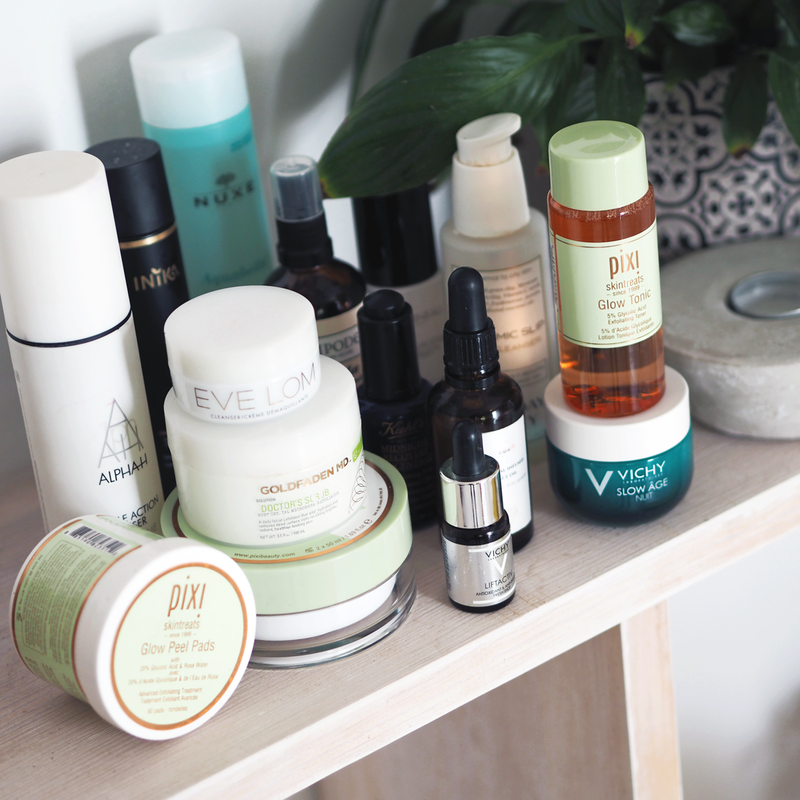 I am dying to try some more high end skincare, maybe Kate Somerville….